So, your son or daughter has probably come home and briefly mentioned something about Camp South Africa; we understand this could be a daunting concept, and that their well-being is your utmost concern. However, we’re here to give you reassurance and peace of mind. We’re sure you have hundreds of questions, and we’re here to answer each and every one of them for you! Please read below for the majority of the important information. If there is anything else you would like to know we are happy to answer your questions; feel free to call us on 0161 222 3780, or alternatively email us at info@CampSouthAfrica.com You can even come and see us personally at our Manchester HQ, we have plenty of free biscuits and cups of tea! 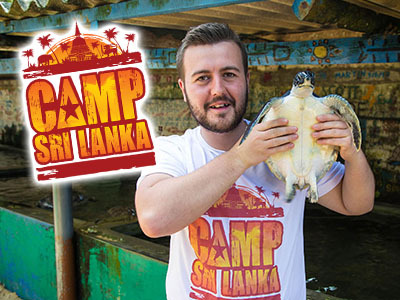 Camp South Africa is an organisation that specialises in sending applicants out to South Africa to spend their summer having fun and working at Camp. With teams based in both the UK and South Africa we have a wealth of knowledge to ensure that our applicants are provided with the best support. Not only does Camp South Africa provide safe, friendly and fun Summer Camp positions, we also provide all applicants with the full training they will need to start teaching (no matter their previous experience). Our applicants will be given an internationally accredited, 30 hour Teaching Young Learners Qualification. We also run an orientation and teaching seminar once they arrive in South Africa, to give them that extra boost of confidence before they hit the classrooms! Camp South Africa provide full support to your son/daughter throughout the whole process. From submitting their application to when they leave South Africa, there will always be someone to help. All applicants are met at the airport and are taken to their accommodation for their first night in Bangkok, before we then transport them by VIP bus straight to Camp. During these two days, we ensure all applicants meet other teachers, get all the information they need and get fully settled in and are prepared for their adventure ahead! On all of our programmes, we can offer applicants guidance in their visa application process. Most applicants will enter the country on a 30 day Tourist Visa, depending upon how long they want to stay in South Africa for. If your son or daughter plan to stay in South Africa for longer than 30 days, they should apply for a single entry Thai tourist visa which will cover them for 60 days. Camp South Africa will help all applicants through the visa application process, so there is nothing to worry about. Once an applicant has been confirmed on the programme and we have received their deposit to secure their place, we will put them in touch with our flight partners. Our flight partners have many years of experience and are experts at finding the right flights at the right prices to suit our applicants. If any of our applicants are unsure as to when they want to come home, this is not a problem; our flight partners offer amazing flexi-flight deals as well.